Adrienne and Ryan’s urban wedding highlighted historic, restored venues around downtown Tampa. The Tampa Bay couple chose an industrial wedding theme, with neutral wedding palette. 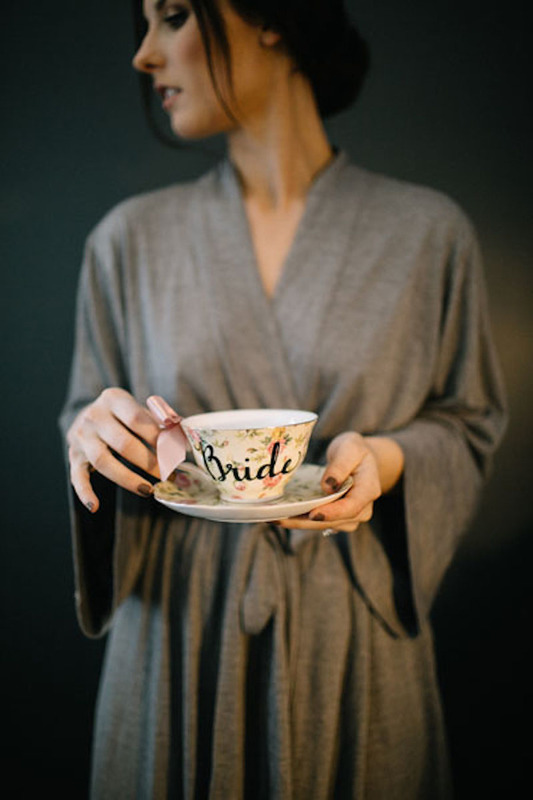 The couple incorporated personal details into their big day, with cold brew drink favors by Buddy Brew Coffee, a donut cake for the groom and close friends as their officiants. “We had our very best friends perform the ceremony, the songs, and DJ our wedding. That made the day super intimate and special,” the bride shared. 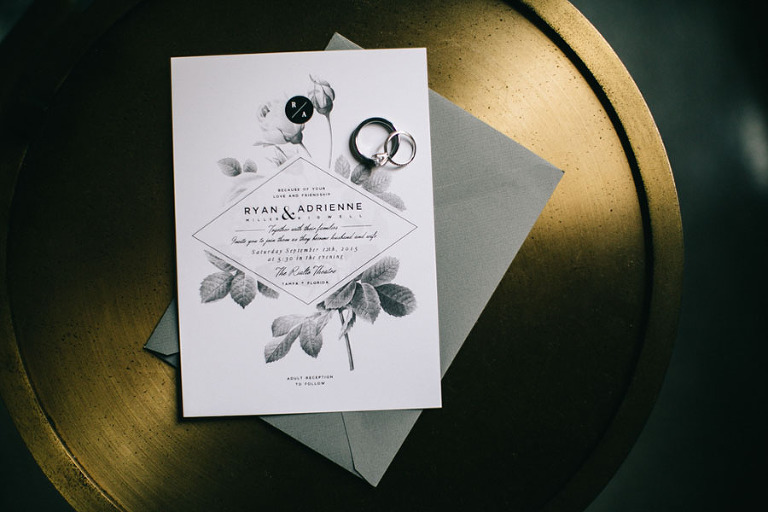 With the help of Citrus Press Co., the bride created custom wedding invitations and stationery. Finding an affordable Tampa wedding caterer who offered a unique menu was important to Adrienne and Ryan. 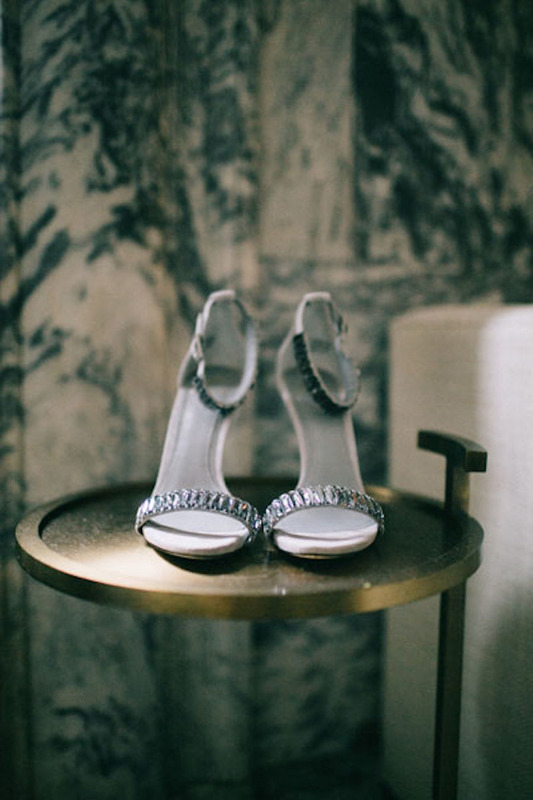 Looking back, one of the bride’s most memorable moments occurred during the wedding ceremony. “There was a specific time where we took communion together, while our friend played a beautiful love song that described us perfectly, Mathew Mole’s Wedding Song. Our best friends prayed for our marriage, and we were able to say a prayer for each other. It was so romantic and intimate and meant a lot,” Adrienne reminisced. What did you look for in your wedding stationery? I wanted something minimalist and sophisticated and am over the moon with how my stationery turned out! I found Citrus Press Co. on Etsy and loved the designer’s modern, fresh take on stationary. I sent photos of everything that inspired me for my invitations, and Sarka made me a beautiful custom design. She would always email me right back with new designs and was really awesome to work with. I would recommend her to anyone! Ryan and I dated eight years before we got married. Coincidentally, my best friend Alissa’s relationship was also getting pretty serious. That night, Alissa’s boyfriend called me and asked if he could run through his proposal with me to make sure it would all go smoothly. Of course I was over the moon to help! He picked me up and blindfolded me in the car. We parked and he guided me as we started walking. The entire time I’m pretending to be my best friend, making comments on how she would react. At a certain point, I heard music. I thought it was strange that it was Ryan’s and my song playing. He took off the blindfold and there was Ryan, standing under a canopy of twinkling lights in our secret park where we’d always escape to to be alone. He got down on one knee, and as I said “Yes,” fireworks exploded in the sky. It was incredibly thoughtful and a night I will never forget. We were very budget conscious in looking for a caterer; I wanted one who would give me a really good deal, as well as serve food that was not typical buffet food. Olympia Catering was amazing! Donna, our coordinator, went above and beyond to make things exactly the way we wanted them, while cutting costs. Everyone raved about the stuffed chicken. Even the pickiest of eaters were asking me for the recipe after the wedding. They also served the 1905 salad which is a Tampa created famous recipe. We both really like an industrial look. I definitely wanted a downtown, urban theme, but I also wanted super feminine ethereal flowers for my girls and for the tables. I chose that because it went best with my aesthetic taste. Most of the wedding matched my personality, down-to-earth, fun and sophisticated. I am not a lover of color generally. I wanted everything to be very neutral and city like, so we went with different tones of grey and white for our color scheme. The greenery of the flowers and the amber from the coffee bottles were our little pops of color. I have two very big lessons I learned from this process. If I were to do things again, I would pay the money to have a planner. The couple thousand I saved was not worth the stress I was under to complete every detail and follow up with every vender by myself. Secondly, even if you are working with a tiny budget, splurge on the things that make the biggest difference in your photos. 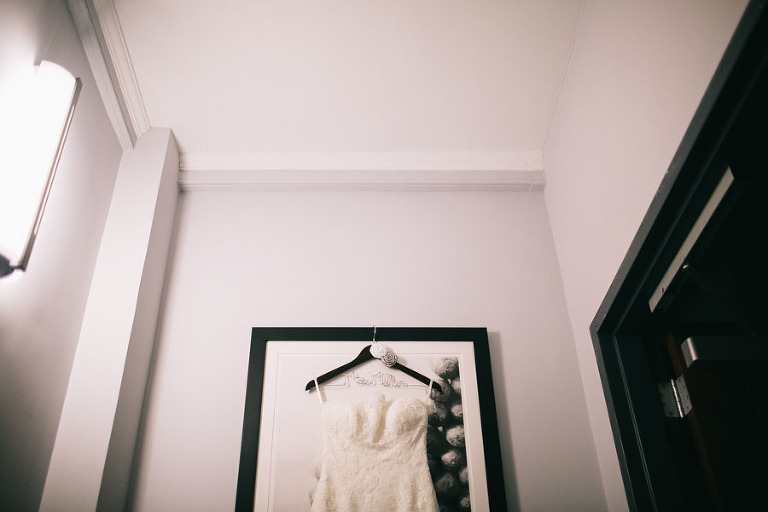 The night goes by so fast, you can hardly remember the little details, but you’ll see the biggest aspects of your wedding in the years to come when you look back at your photos. Invitations and Stationery: Citrus Press Co.